Love hardworking multi-tasting make-up in super luxe packaging? You’re going to love YSL Baby Doll Kiss & Blush duos (R415). 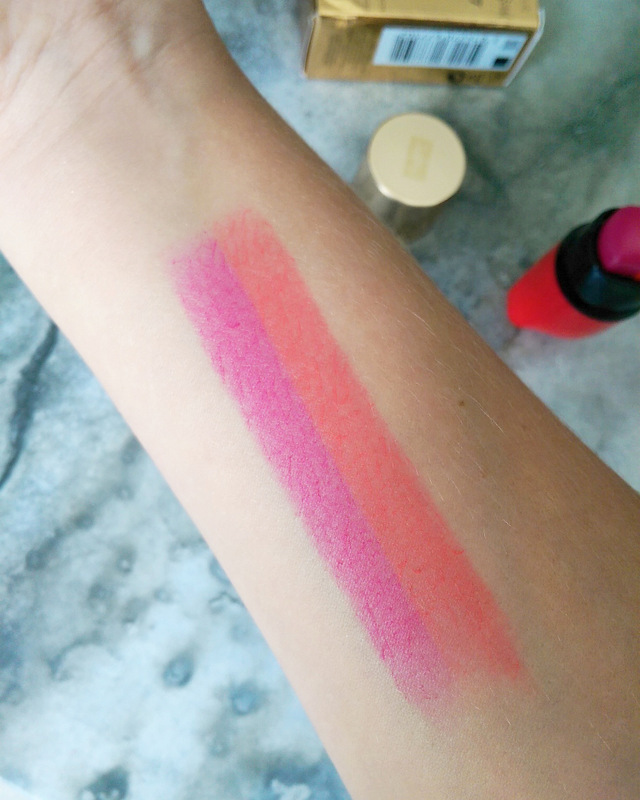 A clever little swipe-and-go colour stick, it serves up two hues that can be used alone or blended together. When ultra luxe meets super cute! They’re available in seven shades and I was given No. 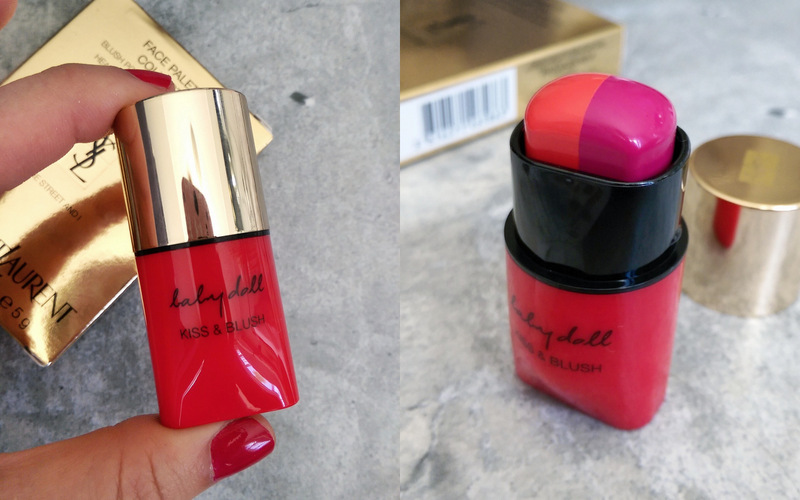 1 Marrakech to Paris – a bright coral and fuchsia – and I love it. The colour’s silicone-based so it glides on like a dream but doesn’t slide off your face as the day goes on. I’ve been wearing the fuchsia on my lips and the coral on my cheeks. I love how, being blue-based, the fuchsia makes your teeth look whiter (not that I need too much help, I bleach the living shizzle out of them) and the coral creates a healthy-looking blush that isn’t too orange. I didn’t intend to lie down for this pic but, ironically, my test shot came out better than those I took after it. Ha! 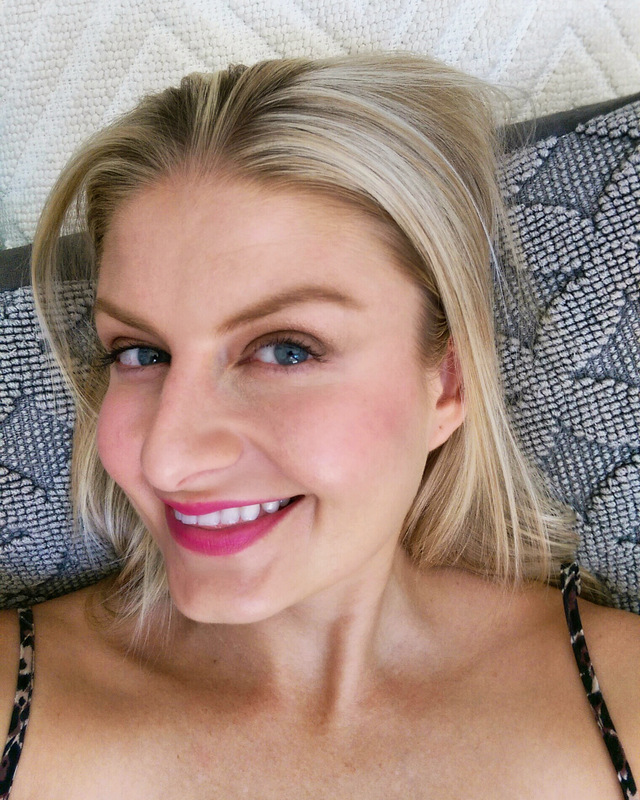 I also got to try Bodyography Brow Assist (R250, Placecol salons and online), a vegan-friendly long-wearing brow pencil with a triangular tip that lets you define and fill depending on how you position it. 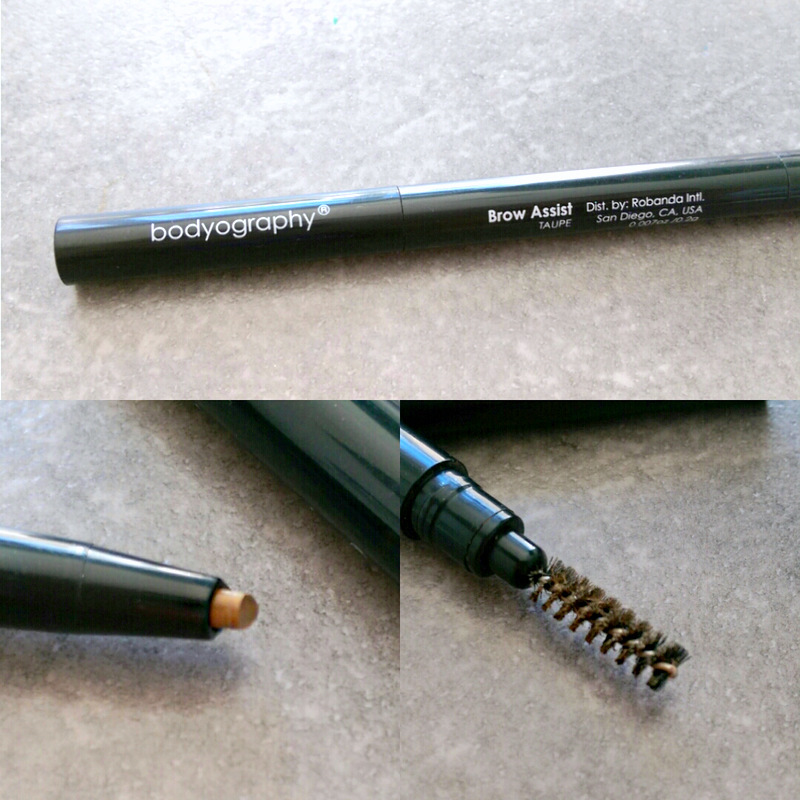 Bodyography Brow Assist in Taupe. Shade-wise there are two pick from – Brown which is actually very dark and Taupe that’ll go down well with blondes who want to fill in their brow but not darken it. I do think there’s definitely room for a middle shade. I had to wait for my brow tint to wear off before I could match with Taupe. I like that this dude does what it says on the tin and the slightly waxy-feeling formula lasted from dusk until dawn without fading. Also, can we get a yay for the spooly brush attached to it? So many brow pencils exclude them and I really don’t know why. Having to reach for a separate spooly is just a las, las, las. 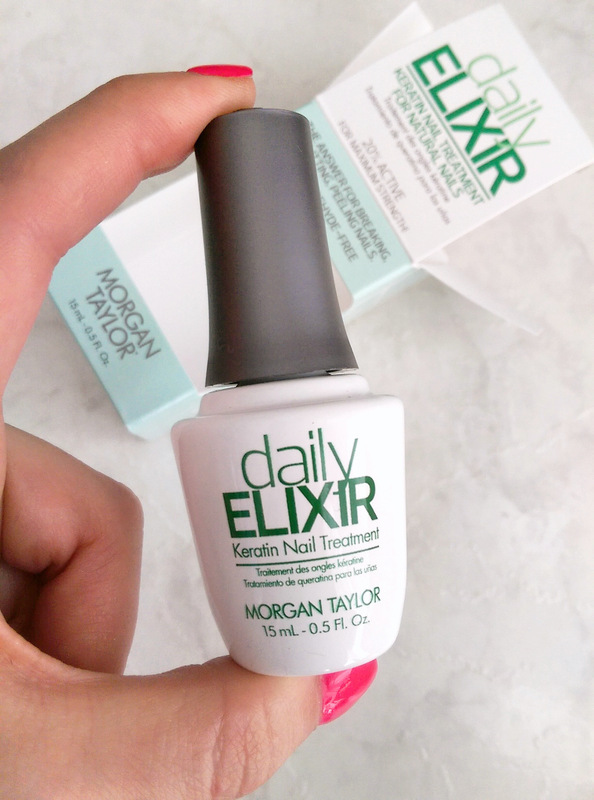 Last, but not least, Morgan Taylor have launched a new nail care treatment called Daily Elixir (price TBA). Despite having a brush, its not a polish that you slick on. It’s more of a citrusy-smelling creamy serum that works in two ways. First, it instantly moisturises your nail thanks to hydrators and soothing panthenol. Then, it ‘repairs’ your nail thanks to hydrolised keratin peptides that bind to existing nail protein to help bolster it’s strength. The more you use it, the more bonds are created so the effect is a cumulative one. I recently took gelish off my toes and my nails were dry and miserable-looking with lots of little white spots on them. Applying the elixir did a good job of instantly hydrating them and the smaller white spots disappeared the moment it absorbed into my nail bed. I don’t know if my nails are stronger as I can’t really measure that but I kept slicking it on whenever I remembered and it definitely improved their appearance. I’d have liked to have used this for longer but I’m a cruel master to my toes and hid them away with another gelish application two days later. Still, I’m very glad to have this on hand and hope to use it properly in the future. For the short time it was in action, it really did make a visible difference. That blush looks super cute. And I have to get my hands on the daily elixir my nails look terrible.